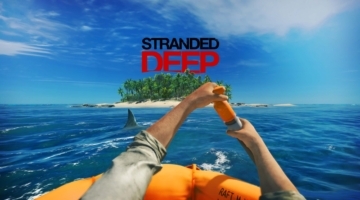 Leading publisher of digital entertainment Telltale Games, alongside developer Beam Team Games, today announced that open world survival game Stranded Deep will be available for download on PlayStation 4 and Xbox One starting October 9, 2018. Pre-orders are now available for $19.99 USD on PlayStation 4 and will also be available on Xbox One soon. Leading publisher of digital entertainment Telltale Games and developer Shortround Games today launched the fast-paced, online-focused racing game RGX Showdown, a futuristic street racer built for short bursts of high-intensity head-to-head competition. Leading publisher and developer of digital entertainment Telltale Games, together with Robert Kirkman’sSkybound Entertainment, today launched the official trailer for episode two of The Walking Dead: The Final Season. Leading publisher and developer of digital entertainment Telltale Games, alongside Robert Kirkman’s Skybound Entertainment, today announced that The Walking Dead: The Final Season will receive a physical release in the form of a season pass disc for Xbox One and PlayStation 4. Leading publisher and developer of digital entertainment Telltale Games, alongside Robert Kirkman’s Skybound Entertainment, today announced that The Walking Dead: The Complete First Season will launch on Nintendo Switch on August 28, bringing the multiple ‘Game of the Year’ award-winning first season to Nintendo’s latest console.